Is Plastic Bad for the Environment? Do you go for that extra dessert knowing that you might regret it later? Maybe you have a lot of self-control, but most people don’t. It’s hard to choose future benefit over present enjoyment. The clearest example of that is the environment. We have been borrowing against the future of the environment in return for convenience and pleasure, and the results are really starting to become clear. Environmentalism is a broad topic, but I’d like to talk about one topic in particular, that almost all of us can do better if we care: plastic. That’s what I always thought, but things didn’t add up. If most people recycle, why is there so much plastic in our water? The Great Pacific Garbage Patch (a huge plastic island in the Pacific Ocean) is 3 times the size of France, or 1.6 million square kilometers. Dead birds and whales are filled with plastic garbage. There are harmful microplastics in our drinking water. After seeing all this, I did more research. Turns out, the general perception about recycling plastic is wrong. When we recycle something that has a little recycling symbol with a number in it, we think that it’s being turned into other useful plastic products. That little number is called a resin identification code. Each code corresponds to a different type of plastic. Some types are more toxic than others, and some can be recycled more thoroughly than others. Most plastics (3-7) have a very low recyclability rate. Of the best ones (1 and 2), only about 29% of the material is actually recycled. The rest of plastic heads to the landfill, environment, or is incinerated. 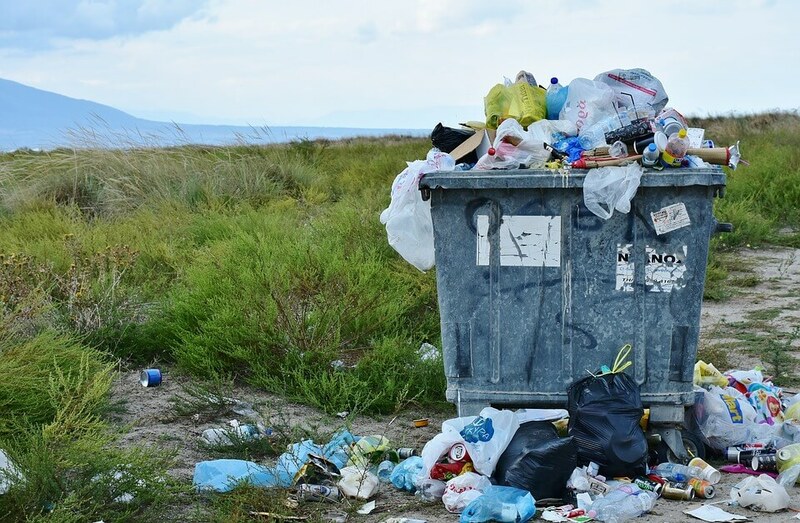 A report in 2017 found that 8300 million metric tons of plastic have been produced so far, and 79% of that plastic has accumulated in either the landfill or natural environment. Once they’re in the environment, they don’t break down. There are some hopeful plastic-eating enzymes, but that’s far from a complete solution, even in the best case scenario. So what can you do to try and reduce the chance of adding to the problem? Let me go over some simple ways. 5Gyres teamed up with other environmental organizations to find out which consumer plastic products are the biggest problems. The result of this work was the Plastics BAN List, a list of the 15 plastic sources that cause the most pollution. Food wrappers and containers covers things like sandwich bags, but also food containers in grocery stores and from some restaurants. The rest are pretty self-explanatory. It’s hard to imagine living without plastic when it’s so ingrained in your life. But if you’re willing to put in a bit of effort, it’s possible to reduce a lot of plastic use, and often eliminate it through the use of better alternatives. Food wrappers/containers – Buy food covered in plastic in bulk when possible. Bring your own takeout containers if possible. Use glass or ceramic containers (with lids) to store food. Bottle/container caps and Beverage bottles – Replace plastic bottles with reusable glass or metal bottles. Bags – Use reusable grocery bags, and bring reusable cloth produce bags. Straws/stirrers – Just don’t use straws or stirrers, or get reusable metal ones. Focusing on these relatively simple changes will cut your plastic use significantly, if not altogether. If it seems like a lot of changes, start with a small one. Once you get comfortable, you’ll probably be excited to make another change. Aside from that, encourage your friends and family to do the same. If you’d like to do even more, you can get involved in activism by encouraging restaurants and stores to ditch disposable plastic products like straws and containers in favor of better alternatives.